Raspberry Drop art, a tropical nature watercolor painting of a cluster of pink and orange mini-Cattleya orchids with water drops. 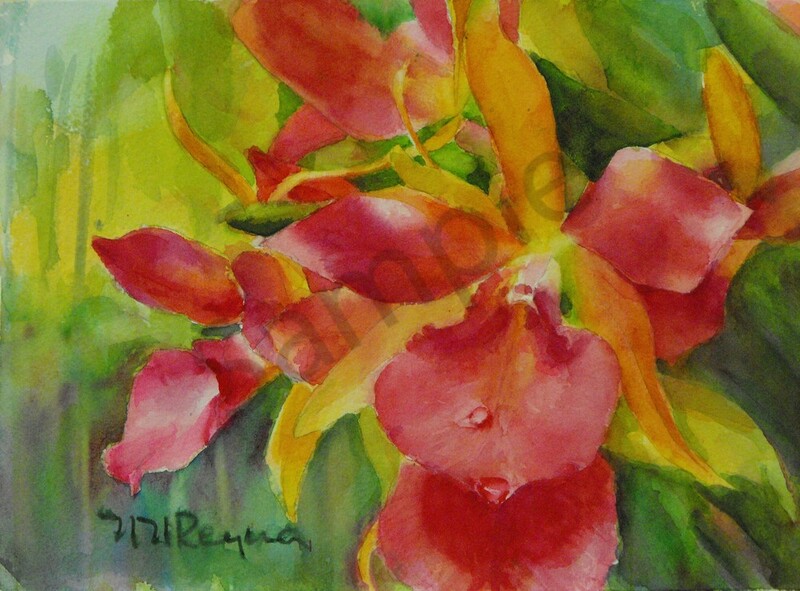 Watercolor painting of a cluster of hot pink and orange mini-Cattleya orchids. Mouth-watering colors glow in the sunlight as some lingering water drops move on. Painted on Arches cold pressed watercolor paper, with professional quality watercolor paints.